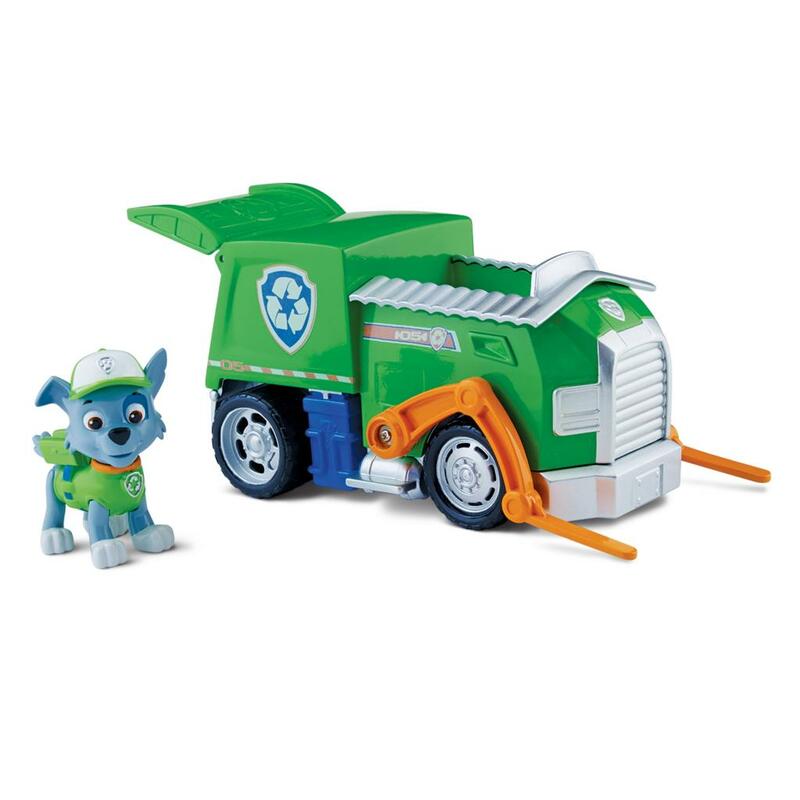 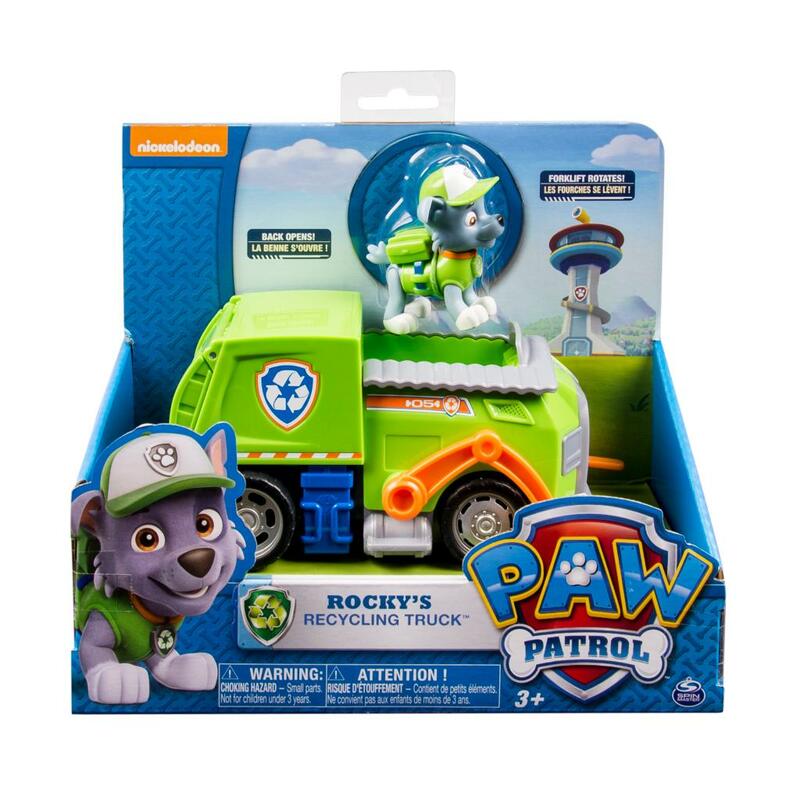 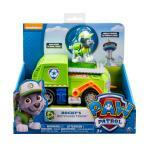 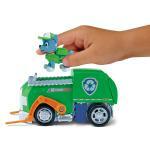 It�s Rocky to the rescue in his Paw Patrol Recycling Truck with real working wheels! Rocky�s Recycling Truck features a forklift for heavy lifting and storage area in the rear of the truck! Collect each lovable Paw Patrol character and work together as a team! 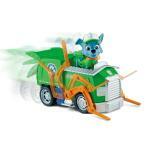 Marshall, Zuma, Skye, Chase and Rubble all have transforming vehicles! 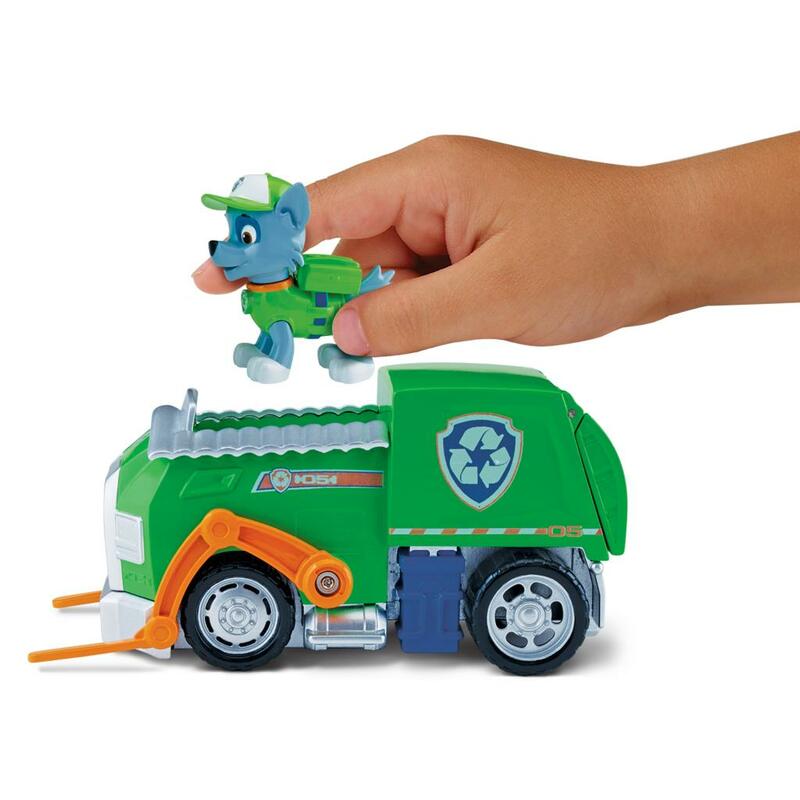 The Paw Patrol Rocky�s Recycling Truck comes to the rescue of Paw Patrol fans ages 3+.